I wanted to share this card I did for a recent swap using the new Core’dinations Card Stock. Oh how I love this paper!!! It’s amazing to me how you can make something so plain into something smashingly beautiful. My next layer is done with the Core’dinations Card Stock and is cut to 3 x 3 1/2 and run through the Big Shot with the new Lacy Brocade Embossing Folder. Once embossed you then sand it with the Sanding Block and wipe clean with the Stampin’ Up! Dust buddy and the results are stunning! My Double Bow is done using my Bow Maker (that my hubby makes and is available for purchase on my right side bar). I did the bow with Crumb Cake Seam binding. I sued the edgelit for the little touch of Cherry Cobbler to divide the colors and make it pop. The image from Watercolor Winter was stamped in Early Espresso and colored with my aqua painter and Watercolor Wonder Crayons. I then finished it off with a little paper piercing. The image was cut out using the Labels Collection Framelits and then pierced with the Paper Piercing Pack and the Stampin’ Pierce Mat along with the Piercing tool. How easy they have made this for us to pierce so evenly with these templates. I’ve been having tons of fun with them. So are you getting ready to start your Christmas Cards??? Want some help? I’d be happy to send you ideas with the stamp set of your choice. 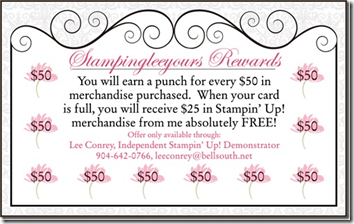 Just let me know what stamp set(s) you have decided on and purchase at my Stampin’ Up! Store and I’ll send you a few ideas. 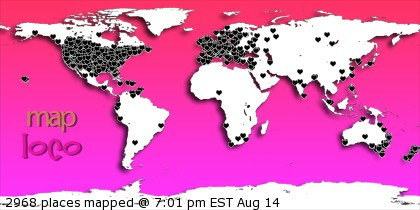 Thanks so much for stopping in, I love when you visit and also love when you leave comments. Beautiful card Lee! It's simple and elegant. The sanded paper is stunning and something I will need to try. I love your color combo and the paper piercing. It's time to order the piercing template pronto. Hope your day is fabulous!